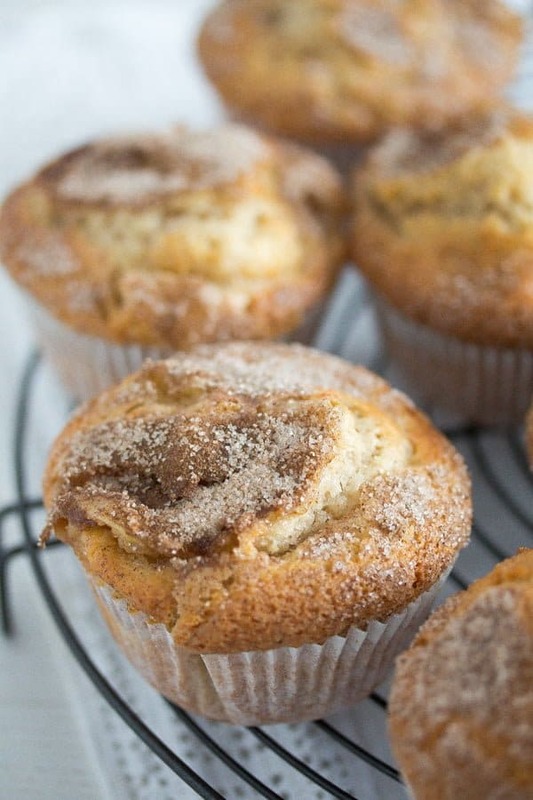 These easy apple cinnamon muffins are so good, you will not believe it! Soft and fluffy, sweet and aromatic, the perfect treat on a rainy autumn afternoon. I have made so many muffins over the years, plain muffins, chocolate muffins, carrot muffins, you name it, I have probably already baked them. Muffins are always good, easy to make, ready in no time, good to take to a party. 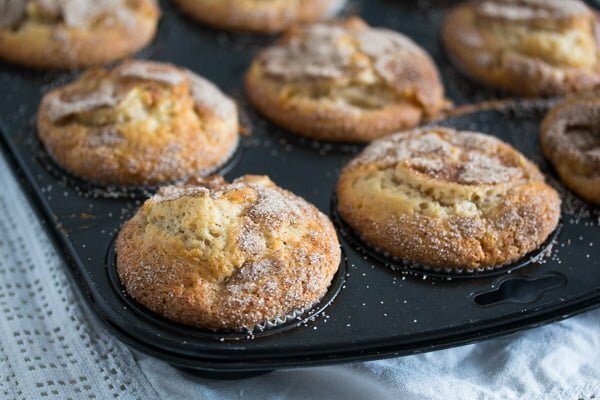 But these easy apple cinnamon muffins (and my absolute favorite muffins – the sour cream muffins) do stand out. I just love that cinnamon flavor, that sugary topping, the soft apples inside and that perfect crumb. Really the best apple muffins I have ever made! 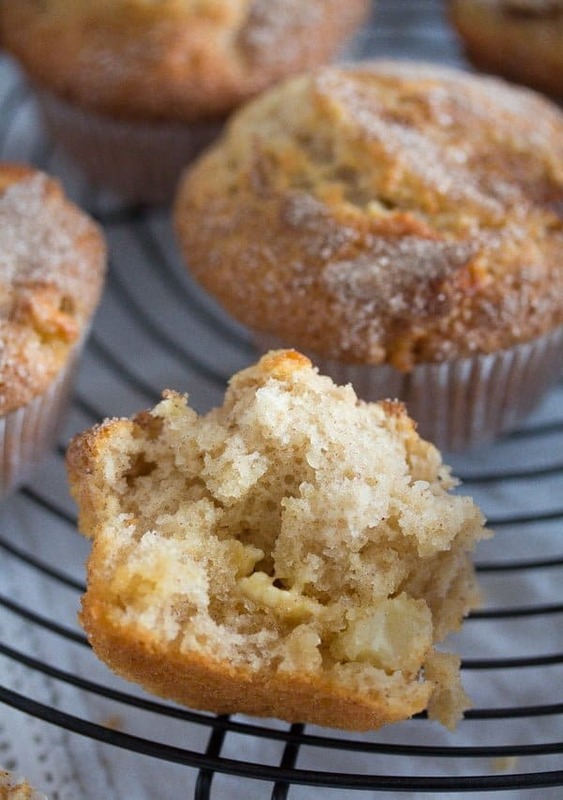 You should definitely give this easy apple cinnamon muffin recipe a try! Especially now, in autumn, when apples are so good and so cheap, I have so many apples at the moment, I could bake some apple muffins or apple cake every day. First of all: the apples. A tarter sort of garden apple would be fine, but use whatever you happen to have. I have no idea how all the garden apples I keep getting from all our neighbors are called, every neighbor has a different apple tree in the garden and I never remember asking about the kind of apple that is. What they all have in common is that they are not particularly sweet and that makes them perfect for baking cakes or apple muffins. The recipe also calls for brown sugar. 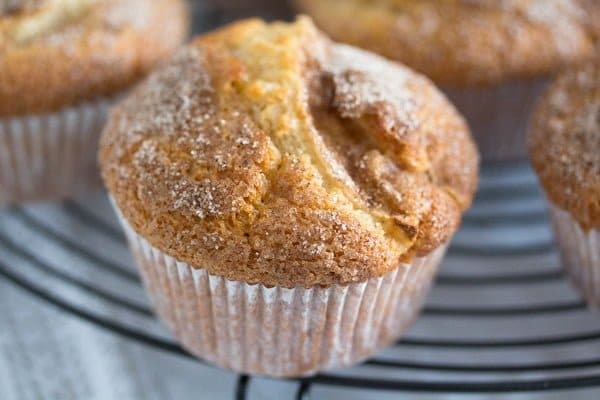 You could replace it with white sugar, if that’s is all you have, but I do recommend using brown sugar, I think it gives this apple cinnamon muffin recipe its special flair, a bit of a caramel note, something a bit more than just sweet. And I have read somewhere that brown sugar helps baked good retain their freshness and moisture longer than white sugar does. Maybe that’s the reason these easy apple cinnamon muffins are so good even after two or three days. Not as fluffy as on the first day anymore, but moist and incredibly delicious still. Then I used oil to make the batter of the easy apple cinnamon muffins. 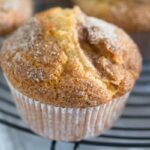 I think many muffins made with butter are just fine, but when looking for a new muffin recipe, I ALWAYS look for some muffin batter recipe made with oil first. I am convinced that using oil when baking muffins makes them indeed better. Not what taste is concerned, I am not sure I could taste the difference, but what texture is concerned, I am positive I could spot an oil muffin just by looking at it and taking one bite. Most butter muffins tend to be rather on the dry side and although scrumptious on the day you baked them, you will notice that they will get drier as the hours pass. That’s not the case with oil muffins, they are incredibly moist when freshly baked and manage to retain that wonderful moisture as the days go on. OK, I would not keep them for a week and still expect them to be good, but 2 or 3 days in an airtight container should be no problem. This is a super easy recipe, as all muffin recipes are actually. 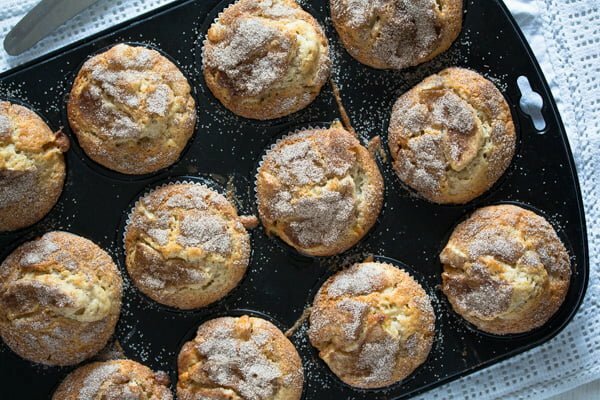 The pan: This apple cinnamon muffin recipe makes 12 muffins. I bake them in a regular 12 muffin pan. Preheat the oven before starting to make the batter for the best apple muffins. Weigh the apples before peeling. 250 g/ 8.8 oz apples should be about 3-4 medium sized apples, but that really depends on the size of the apples. However, unless you go way beyond the required amount, a few grams more or less should not be a problem. After you have cut 12 apple slices for the topping of the best apple muffins, chop the remaining apples and think that you should have about 2 cups apple cubes for the apple muffin batter. So, peel the apples, halve and core them. Cut 12 slices of apple and mix them with 1 tablespoon lemon juice. This will prevent them from getting brown too quickly. Set these 12 apple slices aside. Chop the remaining apples into small cubes. Give them to another bowl and mix them with one tablespoon lemon and set them aside as well. Mix together 2 tablespoons granulated sugar and 2 teaspoons cinnamon in a small bowl. Set aside. Mix together the flour, baking powder, brown sugar, cinnamon and salt. Set aside. In another bowl whisk the eggs (medium in Germany, large in the US), oil, milk and vanilla extract. Give the flour mixture, one tablespoon at a time, to the egg mixture and incorporate. Add the cubed apples. Give the easy apple cinnamon muffin batter to the prepared muffin tin. 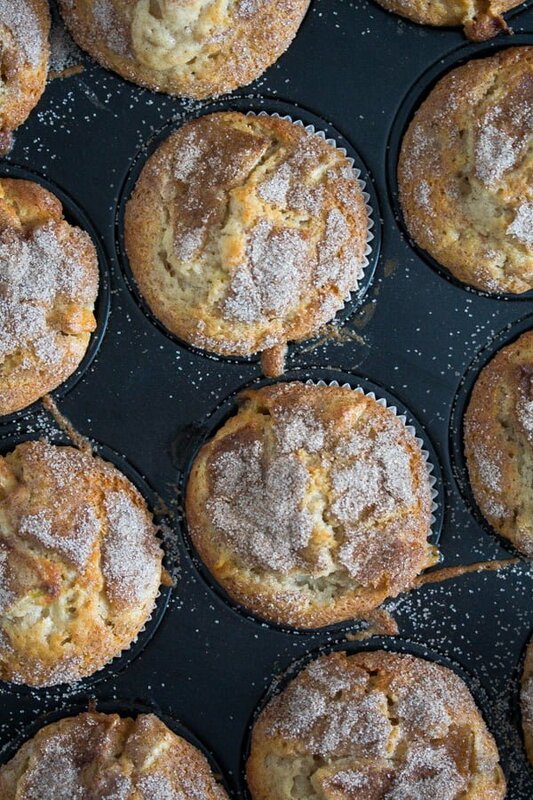 Place once slice of the remaining apples on top of each muffin and press it lightly into the batter. Sprinkle each muffin with some of the sugar cinnamon topping mixture. Bake the muffins into the preheated oven for about 20 – 23 minutes or until golden. A toothpick inserted in the middle of the muffin should come out clean. Unless you hit an apple piece which will cause the toothpick to be wet, so pay attention that you only hit the batter. Do not overbake. Leave the muffins in the muffin pan for about 5 minutes, then take them out and let them cool completely on a wire rack. The muffins are best on the day you baked them, but are still delicious for 2 or 3 days longer. Keep them in an airtight container. 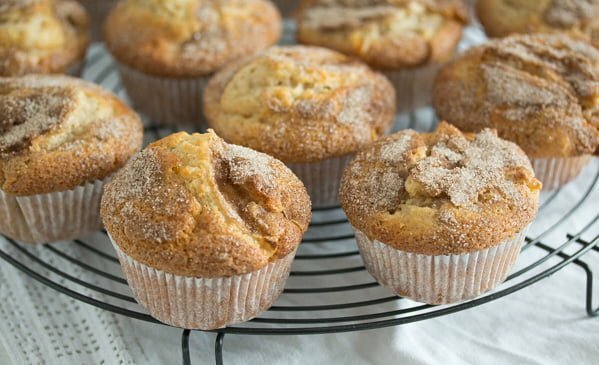 This apple cinnamon muffin recipe is also suitable for freezing. So, that was it: the best apple muffins ever! You should definitely give them a try. Preheat the oven to 180 degrees Celsius/ 360 degrees Fahrenheit. Line a 12 muffin baking tray with muffin paper cases. Weigh 250 g/ 8.8 oz apples and peel them. Halve and core them. Cut 12 thin apple slices, give them to a bowl together with 1 tablespoon lemon juice and toss them with the juice. 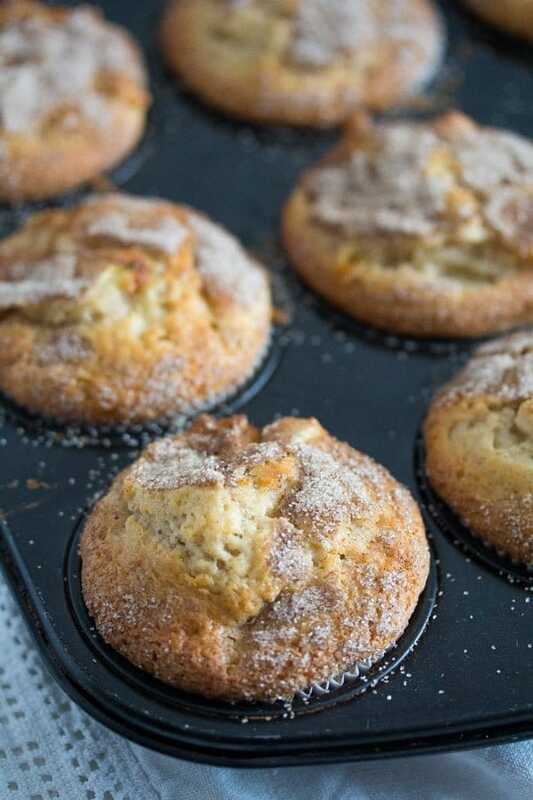 Set aside, you will need them to top the apple cinnamon muffins. The lemon juice will prevent the apples from browning too quickly. Chop the rest of the apples and give them to another bowl, toss them with the remaining lemon juice and set aside. In a small bowl mix together the white granulated sugar and 2 teaspoons of the cinnamon. Set aside. Mix together the flour, baking powder, brown sugar, salt and the remaining 2 teaspoons of cinnamon. Set aside. In another bowl, large enough to hold all the batter, whisk the eggs, oil, milk and vanilla extract very well. Give the flour mixture, one tablespoon at a time, to the egg mixture and incorporate. Add the cubed apples. 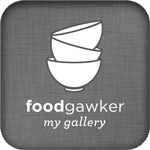 Give the batter to the prepared muffin tin. Place once slice of the remaining apples on top of each muffin and press it lightly into the batter. Bake the muffins into the preheated oven for about 20 - 23 minutes or until golden. A toothpick inserted in the middle of the muffin should come out clean. Unless you hit an apple piece which will cause the toothpick to be wet, so pay attention that you only hit the batter. Do not overbake. Note: 250 g/ 8.8 oz are about 3-4 medium apples, depending on size. Remember to cut 12 slices of apples to top the muffins with before you chop the rest of the apples into cubes. These do look amazing. I understand why you had a few, I would have done the same. love those hunks of apple in there!